Security in Jordan is also a growing concern. Although the military is effective in preventing infiltrations and policing the frontier, including periodic skirmishes with Syrian militants and smugglers, there are signs that some refugees are influenced by the ideology of the self-proclaimed Islamic State or Salafi Islam. An estimated three thousand Jordanians are reported to be fighting in Syria. Terrorist-related incidents, alleged Islamic State sleeper cells, and arrests also appear to be on the rise. Jordan's quiet cooperation with its treaty partner, Israel, is a plus for U.S. regional interests. Toward the end of 2015, Amman shifted policy to stem the flow of refugees, stranding more than fifteen thousand Syrians along the border. The government has also been working to establish a "safe zone" on the Syrian side of the frontier, providing humanitarian and security assistance to local militias with an eye toward establishing an area where refugees can live in relative safety from both Bashar al-Assad's regime and the Islamic State. However, an expanded Russian or regime campaign in southern Syria could spark a mass migration toward Jordan's border that would be difficult to stave off. Jordan's stability is a high priority for the United States. It is a main partner in fighting the Islamic State, in confronting Iranian expansionism, and in supporting a peaceful resolution of the Arab-Israeli conflict. Jordan's quiet cooperation with its treaty partner, Israel, is a plus for U.S. regional interests. Domestic instability in Jordan—especially turmoil that threatens the leadership status quo—would endanger these important U.S. interests. Mounting pressures on Jordan's meager resources from refugees—as well as corresponding austerity measures—could feed destabilizing anti-regime sentiment. Although Islamic State–inspired terrorist attacks in the kingdom would likely produce a rally-around-the-flag effect, security incidents could further damage an already strained economy. Any further flow of refugees could tip the scales, triggering a crisis—potentially from malcontents among the refugee population and/or from disaffected Jordanians. Washington should encourage European states—in particular, Germany—to invest in job creation initiatives in Jordan. Increase humanitarian assistance. 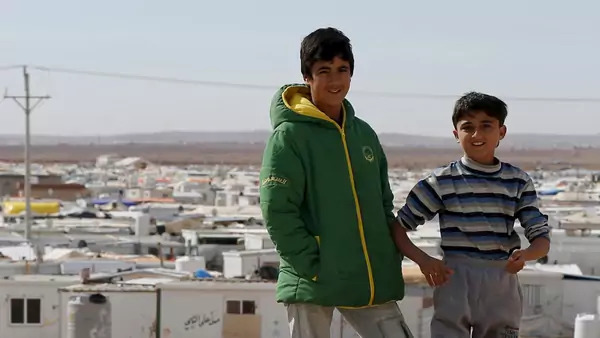 If a net increase of several hundred million dollars in refugee support funds is not politically feasible, Washington could consider a more rational and equitable allocation of its $533 million in refugee support allocated to Syrian refugees in other Middle Eastern countries. Washington should press European and Arab allies (Saudi Arabia, United Arab Emirates, and Kuwait) to add an annual budget support component of $1 billion to its existing infrastructure investment projects in the kingdom. Support employment for Syrian refugees. High unemployment, insufficient job creation, and controlled immigration appear to be driving the migration of Syrian men to Europe. To entice Syrians to remain in the region, if not in Syria itself, it will be necessary to provide a degree of economic opportunity. Washington should encourage European states—in particular, Germany—to invest in job creation initiatives in Jordan, once Jordan provides a larger number of Syrian refugees with work permits. Local refugee employment was identified as a European priority during the February 2016 Syria donor conference in London. Increase defense and intelligence cooperation. Intelligence sharing and security cooperation between Washington and Amman is already exceptionally strong. To further strengthen the relationship and improve Jordan's intelligence-gathering capabilities over southern Syria, the Barack Obama administration should provide the kingdom with an advanced armed- and surveillance-drone capability. Establish a real safe zone. Although Jordan has implemented some under-the-radar efforts to support communities on the Syrian side of the border, those efforts lack the imprimatur and staying power of a fully supported humanitarian safe zone, where U.S.-led coalition forces provide security for the shelter and feeding of internally displaced Syrians. Establishing such a zone with partners in the counter–Islamic State coalition would serve both U.S. strategic interests in safeguarding Jordan and humanitarian concerns by protecting civilians.